NEW YORK, NY, USA, September 24, 2018 /EINPresswire.com/ — The Center for Intellectual Property Understanding (CIPU) announced today that that Andrei Iancu, the United States Under Secretary of Commerce for Intellectual Property and Director of the U.S. Patent and Trademark Office (USPTO), has accepted its invitation to speak at the Intellectual Property Awareness Summit. The Summit will take place at Columbia University’s famed Pulitzer Hall in New York on November 29 in conjunction with Columbia Technology Ventures. Registration is now open. Director Iancu will touch upon the benefits of the U.S. IP system and how they can be made clearer to more audiences. Confusion about the purpose, use and criteria of inventions, authored works and designs, and their rights, has led to widespread IP theft on the part of both individuals and businesses. Uncertainty inhibits innovation and competition, increases frustration and discourages investment. IPAS 2018 will examine ways to improve audiences’ basic IP awareness and understanding. 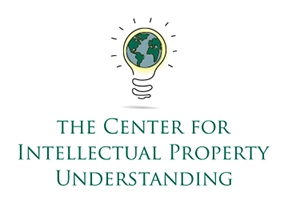 Registration is now open for the second annual Intellectual Property Awareness Summit – IP Literacy in a Digital World. The Summit will examine the impact of information and speed on how intellectual property is seen and often taken for granted, as well as ways to address it through education and the media. Prior to taking the position with the USPTO, Director Iancu was the managing partner of Irell & Manella. His legal practice focused on intellectual property litigation. He has taught patent law at the University of California, Los Angeles, which is his alma mater. As an attorney, Director Iancu has appeared in front of the United States Patent and Trademark Office, the United States International Trade Commission, U.S. district courts, and the United States Court of Appeals for the Federal Circuit. He began his career as an engineer at Hughes Aircraft Company. – IP LITERACY – WHAT IS IT? WHY SHOULD WE CARE? For the current full current list of IPAS 2018 participants and partners, please visit this page. IPAS 2018 will draw participants and panelists from the U.S., Europe and Asia, and provide opportunities to network and share ideas. Discussions will include best ways to address the widespread confusion over IP rights, and the growing acceptance of IP theft. Participants can expect to network and explore the role of government, the media, and educators in making IP rights more intelligible, and the impact of failing to. Among those who will attend IPAS 2018 are IP holders, executives, educators, inventors, service providers, investors, lawyers and IP organizations. Tickets are limited.